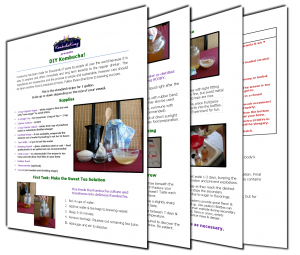 Bottling Kombucha, JUN and Kefir: Top 5 Safety Tips! Who loves bubbles in their beverage? We do! 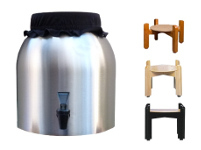 In fact, most Kombucha homebrewers desire more fizz in their brew. Any why not? It’s fun, adds texture and flavor, looks cool in the glass and reminds many people of good times. How exciting when a new Booch is opened, bubbles rush madly upward, increasing exponentially, frothing to the top of the bottle and spilling forth gently! There may even be a secret reason we crave those carbonated quaffs…could it be nutrition? 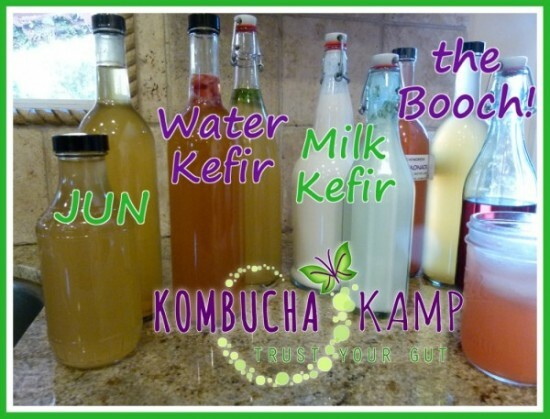 Natural fizz – the kind found when bottling Kombucha, JUN and Kefir homebrews – indicates the presence of living yeast, which contain B-vitamins that the body can use in bioavailable form. 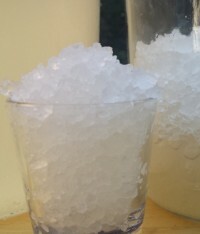 Usually, if carbonation is a problem, the issue is not enough bubbles (See Carbonation Techniques Basic & Carbonation Techniques Advanced for more help with those issues). However too much of a good thing can transform pleasantly bubbly Booch to messy geyser or even bottle bomb under the wrong combination of conditions. Signs of over-fermentation when bottling Kombucha, Jun or kefir include bubbles leaking from the top, hissing sounds as CO2 tries to escape any which way, and stressed or bulging caps. The good news is that it’s pretty easy to avoid a mess when bottling Kombucha or any fermented drink at most times of the year, especially cooler seasons when carbonation can be a fickle friend. But as temperatures rise, the yeast become more active, and coupled with sugar in the form of fruit or flavorings (especially pureed fruit – see below), the excessive pressure produced by this dynamic duo is the issue to be on the lookout for. We’ve heard more than one story of loud, unexplained crashes rudely interrupting a night of sleep, causing great confusion and even fear (“Is someone robbing the house?”), only to discover the cause is an overflowing or busted bottle in a cabinet or on the counter. Most of the time, it’s an issue of messy inconvenience but rarely, someone may be exposed to a flying piece of glass, which can cause injury or even a need for stitches in the most extreme cases. The best way to avoid a bottle bomb is not to create one! The type and quantity of flavoring, the type and quantity of yeast, the temperature of the second ferment, the type and shape of bottle and many, many other factors may all play a role. 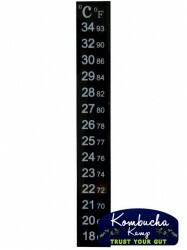 Understanding what causes excessive carbonation when bottling Kombucha and other ferments, and employing these safe techniques, allows the homebrewer to prevent issues in the first place. Though no matter how hard we try, some variation will always occur; such is the active nature of our happy, living brews! 1. Reduce the amount of flavoring in each bottle, especially those higher in sugar which will kick start the yeast to create lots of bubbles quickly. Too much fruit of any kind may lead to issues but pureed fruit creates the most carbonation and therefore cause for concern. Use larger pieces, no more than 5-10% per bottle, to infuse flavor without risking blowups. Rhizomes like ginger and turmeric are also known to create a lot of fizz, so use sparingly. Other flavors such as flowers, barks, spices and herbs may contain less sugar, though yeast on some plants, such as chamomile, can also activate a second ferment. Check out more flavoring ideas here. Bonus Tip: To further reduce the potential for too much carbonation, flavor the brew for 2-3 days in the vessel (remove the SCOBYs and starter liquid first! ), then strain out the flavorings at bottling time. 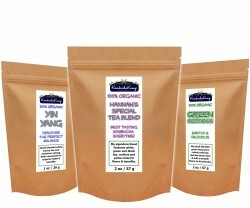 This technique offers the added advantages of extended shelf life and easier cleaning as flavorings do not continue to ferment at the bottom of the bottle. Bonus Bonus Tip: Rather than adding fruit puree to the bottle and risking a geyser later, add it to your glass at the time of consumption. 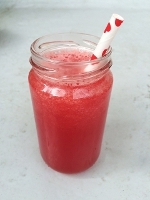 Check out the recipe below to make your own Watermelon Kombucha Kooler! Add all ingredients to the blender and pulse until ice is crushed. Do not leave blender on as the fermented goodness may foam. Pour into a glass, add a sprig of mint for garnish and kool down! 2. Reduce the amount of yeast in each bottle. Brown yeast strands can be found attached to the SCOBY or collecting at the bottom of the jar, and can be present in varying amounts depending on the brewing conditions. They are normal and desirable, in balance of course. As discussed above, yeast + sugar + a closed bottle = carbonation, and we chose to limit the sugar available in the first tip. In this case, we can limit the yeast present to accomplish the same goal, primarily in 2 ways. 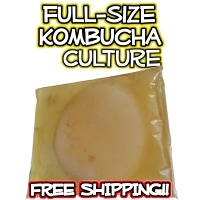 The first and most obvious way to reduce the yeast when bottling Kombucha, Jun or kefir is to simply leave the yeasty dregs of the batch in the bottom of the vessel, unbottled. 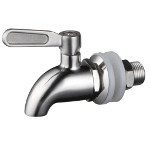 In Continuous Brew, this means using the spigot as normal, without stirring the brew prior to decant. For Batch Brew it’s a bit more difficult, but pouring the jar out slowly will generally allow gravity to keep the yeast at the bottom until the end, when the last couple of cups of yeast brew can be sacrificed. We never recommend adding all of the dregs to one bottle as the overabundance of yeast will likely create off flavors and maybe an accident! The more thorough and involved process for reducing yeast in the bottle involves actively filtering. 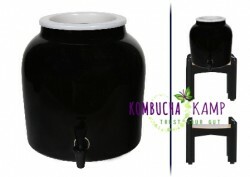 Pour the Kombucha into a pitcher through a mesh strainer or even a piece of cheesecloth, then transfer into bottles and cap tightly. 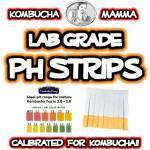 Be careful though as balance is key – heavily filtered Booch (or other ferments), while clearer with less ooglies, may taste weak and have less nutrition…and be really flat! Consider adding back a little of the filtered yeast to each bottle for additional flavor and carbonation. Bonus Tip: Stirring the pitcher after filtering distributes the remaining yeast in the liquid, creating more even carbonation among all the bottles. Always split the last few cups, where yeast may collect, among all the bottles for best results. 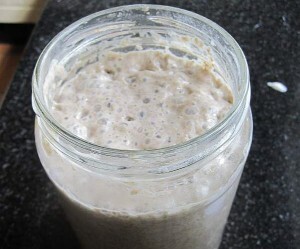 Bonus Bonus Tip: Save the filtered yeast to make a Kombucha sourdough starter. 3. Burp bottles regularly. Before the pressure gets out of control, regularly releasing the bubbles by cracking the lid then recapping quickly, aka “Burping,” is one of the most common methods for regulating carbonation. Too much leads to a flat brew, so balance, again, is key. A hissing bottle is ready to be burped, so keep an ear out for noises coming from the second ferment. 4. Find a cooler location to store the second ferment. The ideal temperature range for brewing Kombucha is 75-85F, so in the hottest months what normally takes two weeks may happen in 7 days. When it’s time for second ferment, finding a location with lower temperatures allows for a more gradual build-up of bubbles. A cool, dark place (basement, wine fridge, dark pantry) makes for a less volatile, and longer lasting, bottling stage. Ideal storage temperatures are 50-70F (10-21C). 5. Use high quality glass bottles. Ever notice how the glass of a champagne bottle is very thick but the glass of a beer bottle can be quite thin? The pressure of champagne that leads to that satisfying *POP* also means that the glass must be stronger to prevent champagne bombs! Beer bottle glass can be too thin to contain the CO2 created by Kombucha, jun or kefir – especially during the summer. *square bottles blow out more than rounded because pressure can collect in the corners. It’s the same reason even pressure on an egg won’t crack the shell as a rounded structure withstands pressure better than one with angles. When they do break, swing tops often seem to implode downwards towards the counter or ground rather than explode out, another way in which they are a safer choice. Standard Beer Bottles – Thin glass, weak caps and highest potential for shattering outward and leaving little pieces of glass all over the room. Thicker custom bottles, as some commercial companies use, are better, but the standard ones can be dangerous. Pass. Wine/champagne bottle with cork – some people like that the cork will pop before the bottle will break. We’re not big on encouraging an unnecessary mess. Wine/champagne bottle with balloon – in this old school suggestion, the balloon expands as the CO2 fills it, but it cannot explode. It’s also impossible to capture that carbonation in your beverage, thereby defeating the purpose. Stainless steel water bottles may work but the lid is unlikely to be snug enough to create carbonation, plus the flavor grows stale more quickly compared to glass. 5. Store bottles in boxes, cooler or cabinets where the mess and damage can be contained. This is a best practice at all times of the year, but especially if the weather is warm. It won’t prevent an explosion, but a mess can always be cleaned and a cooler is especially easy to handle. Oh No! I Think I Have A BOTTLE BOMB! What Now? Fridge It. The cold temps (just above freezing) should dampen the carbon dioxide as well as the yeast, making the bottle less active after 30 minutes to 4 hours. Beware of Bottle Bombs! Flames won’t happen but explosions can, be careful! Bag It. Even if the bottle holds, sometimes upon opening a fountain of flavored Booch fires forth, potentially even painting the ceiling. Don’t want to lose all that precious booch? Place the bottle in a bowl, cover with a plastic baggie face down over the mouth of the bottle, then release the cap and hold on tight! 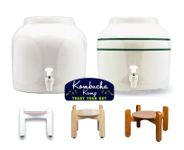 As the Kombucha, kefir or JUN geyser shoots out of the bottle it is directed down into the bowl by the plastic bag, recaptured to be enjoyed. Cover It. Towels, oven mitts and goggles do not make anyone invincible. However, putting a barrier between soft human flesh and the potential shards of a glass bottle is certainly a best practice. 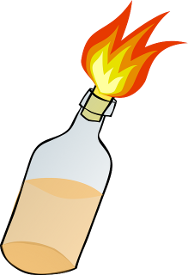 If a bomb is suspected, or another bottle has already exploded on its own, throw a towel or two over any potentially dangerous bottles and dispose of safely. Consider also using a thick oven mitt or other arm, chest, neck and eye protection if needed. If not too dangerous, place in the sink and open. The contents may foam rapidly. If too dangerous, toss into a trash bin or other receptacle that can contain the mess. Follow these tips and safely enjoy bubbly brews all year long! 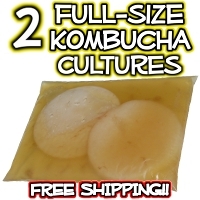 when bottling Kombucha, JUN, Water Kefir or Milk Kefir? This information is help as I haven’t yet mastered how to get it carbonated! I will be doing the opposite! Yup. Been there. Done that. I had two of the square bottles blow up on me. I paid rather dearly for them too. Now I know. Thanks for this. It makes total sense and it will save ceilings, walls, floors, and booch! I now have 3 gallon-sized SCOBY hotels. Each time I brew 2 more gallons, I use the last 2 scobys. I try to add sweet tea to all bottles now and then but are the year-old scouts still good? No one I know brews but me. What do I do with old SCOBYS? I enjoyed reading this article about exploding Kombucha bottles. I learned that the most likely explanation why only one of the half dozen bottles of Kombucha (or was it Jun?) in that batch that hit the ceiling is that that bottle had more yeast in it than the rest. I have had a few bottles bubble over & I lost most of the Kombucha or Jun. This was the only time it hit the ceiling. I do need to be more careful to avoid having that happen again. I think this article will help keep a lot of ceilings in their original color. This is really useful infomation. But I was wondering if I could wash the glass jars with tap water and then rinse them with filtered water before let them dry. Will the chlorine still there after the jars are already dried? Or could we boil the tap water to remove the chlorine? Will that really work? Yes! That will work just fine. Chlorine is a gas the evaporates over time. This blog is a fantastic resource! Just brewed my first batch – turned out pretty good, learned a few things! Thinking about treating myself to a CB for my birthday! ? Love your site and suggestions. I just have a quick question. My buche tends to be yeasty within a month of continuous brewing, I am wondering if it is necessary to stir in the new sweet tea when I take Buche and add tea? Iam taking about a litre every 36 hours and the flavour is perfect. Stirring will keep the brew in balance as some of the yeast bodies will escape through the spigot. Plus it will garner additional carbonation in the bottle. Previous batch of 2nd ferment two bottles blew up, luckily I used the bucket method and all was contained. I guess bucha really likes ginger juice. Next batch went better, same ginger juice just burped twice a day morning and evening. This would have been useful to know before the peach kombucha hit the twelve foot ceiling in the kitchen.